Reason for Removal Rescue only working on a small scale. For alternatives in the same area please see other rescues in Dorset or put your postcode into our map. If you have any information to suggest this listing should be reinstated please leave a comment below. For alternatives in the same area please see other rescues in West Yorkshire or put your postcode into our map. For alternatives in the same area please see other rescues in the West Midlands or put your postcode into our map. Reason for Removal Rescue no longer has facilities for wildlife. For alternatives in the same area please see other rescues in Hampshire or put your postcode into our map. Reason for Removal Rescue is temporarily closed due to weather damage. 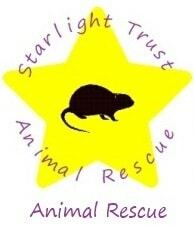 For alternatives in the same area please see other rescues in Leicestershire or put your postcode into our map. For alternatives in the same area please see other rescues in Greater Manchester or put your postcode into our map. For alternatives in the same area please see other rescues in Devon or put your postcode into our map. For alternatives in the same area please see other rescues in London or put your postcode into our map. For alternatives in the same area please see other rescues in Cumbria or put your postcode into our map. For alternatives in the same area please see other rescues in Kent or put your postcode into our map. For alternatives in the same area please see other rescues in Surrey or put your postcode into our map. For alternatives in the same area please see other rescues in Norfolk or put your postcode into our map. Reason for Removal Listing removed as rescue no longer has facilities for wildlife. For alternatives in the same area please see other rescues in Bedfordshire or put your postcode into our map. Reason for Removal Rescue is operating at a small level. For alternatives in the same area please see other rescues in North Yorkshire or put your postcode into our map. 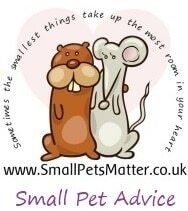 For alternatives in the same area please see other rescues in Worcestershire or put your postcode into our map.